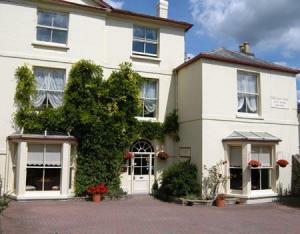 Choose from 15 hotels and guest houses in Monmouthshire. Shown below a just a selection of the hotels available. To search within an area please use the menu on the right. 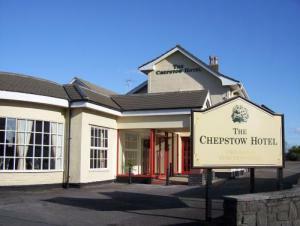 Ideally placed between the historic towns of Monmouthshire and Chepstow. Tintern is in the heart of the Wye Valley, and all of the attractions it has to offer. The poet Wordsworth described Wye as the most romantic valley in Wales. Little has changed since he penned those lines and the Wye river still wends its way by Tintern, its abbey and forest. 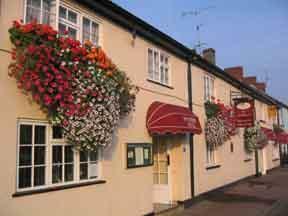 The hotel dates back to 1835 when it was a small alehouse known as The Carpenters Arms. In 1909 the building was renamed and extended to its current form. Both the bar and restaurant are open to non-residents and is popular with locals and tourists alike. Using fresh local produce, we aim to provide a range of food to suite your individual tastes - from bar snacks to a la carte meals. Special dietary requirements are catered for on request. With a total of nine en suite rooms the owners, Sue and Barry Cooke, pride themselves on being available to give individual attention to their guests to ensure that their stay is as relaxing and enjoyable as it can possibly be. This elegant hotel in South Wales has 2 golf courses, a fitness club, superb meeting facilities and 2 on-site restaurants. The Marriott St. Pierre Hotel & Country Club has easy access to the M4, M5 and M50 and is less than 2 hours from Birmingham and London. Enjoy the stunning, 14th-century manor and its breathtaking views across 400 acres of picturesque parkland. This friendly, family-run bed and breakfast - voted the best in Wales by overseas visitors (2003) - offers picturesque views over the Black Mountains, within the Brecon Beacons National Park. An historic country house setting, surrounded by some of the best walking areas in the country, the estate boasts extensive and varied flora and fauna, with 51 types of tree and 47 different bird species within the grounds. Accredited with Welcome Host Gold Level standing and Level 2 Green Dragon Environmental Tourism status. The Black Lion Guest House is family-run business that offers a warm and friendly welcome to all, including cyclists and walkers. The guest house is situated in the heart of the historical thriving market town of Abergavenny, a location used by many tourists over the years as the 'Gateway to Wales'. 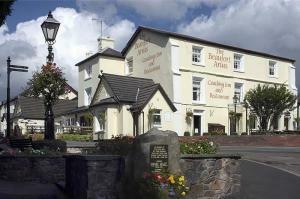 Centrally situated within historic Chepstow, The Beaufort Hotel offers a range of single, double and family accommodation, within walking distance of Chepstow Racecourse. For relaxation, try either the well-stocked Beaufort Bar, serving a wide range of soft and alcoholic beverages and popular with the locals. Alternatively, the on site restaurant serves a modern ? la carte menu of traditional British and international dishes, prepared where possible with local farm ingredients. 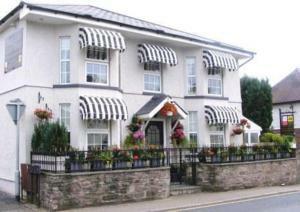 The Beaufort Hotel is an ideal base from which to explore the history and beauty of South Wales. A relaxing Elizabethan Manor House which maintains its character and architectural features, with a great oak door giving access to the reception. The hotel has 18 rooms, with an additional 4 suites available for that extra luxury. All rooms are en suite and a large percentage have historical characteristics such as exposed beams, original leaded windows and uneven floorboards - this creates a charm that takes you back centuries. Free Wi-Fi and broadband internet access are available. Each room has Freeview TV and telephone connections. Built about 300 years ago as a private residence originally called Woodfield House, this charming hotel offers an unrivalled view of Chepstow Castle, Situated in the town of Chepstow, on the English/Welsh border by the banks of the River Wye. The historic nature of the hotel creates a charming atmosphere and it is interesting to think that the stones used in the building may have come from Chepstow Castle just across the road, which by that time had fallen into disuse. The aim of the hotel is to offer you comfort, good food and personal attention in surroundings which retain the charm of the 18th century and boast some outstanding features. Possibly the oldest coaching inn in Wales, the friendly Kings Arms has its own micro brewery and an excellent restaurant serving tapas and ? la carte dishes. Standing since at least 1400, the inn still has many original features. It was visited by Roundheads, Cavaliers and even King Charles II. The elegant rooms have reasonable rates and a feeling of relaxed luxury. 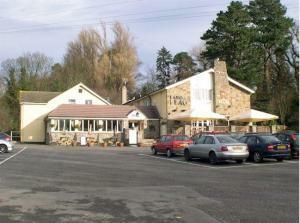 The Kings Arms is on the edge of the Brecon Beacons and about 40 minutes from Cardiff. Newport, the site of the 2010 Ryder Cup, is 20 minutes away. The Kings Arms has its own small cinema and hosts regular live music and special evenings of jazz, comedy and acoustic music. There is also an art gallery and a function area. Set at the foot of the Black Mountains, this beautiful 18th century country house presents itself as the ideal base from which to enjoy the wonderful Offa's Dyke trail. Less than 6 miles from the historic town of Abergavenny, this privately-owned former gentleman's residence sits within splendid unspoiled countryside. The area offers the opportunity to try a number of country pursuits, including pony trekking, country walks, fishing and golfing. In the evenings, after a long day, you can relax with a drink in the hotel's bar before sampling the English and international menu in the restaurant.